Alabama School Connection » Want Schools to Have More Money? Prove It!! Want Schools to Have More Money? Prove It!! Lots of folks are keen on saying that our schools and our children and our teachers need more money. Lots of folks opine about how taxes should be raised to give our schools and our children and our teachers more funds with which to work to improve education. Guess what? You have the power already in your hands….if you make online purchases, that is. In Alabama, you are required to self-report any purchases that you make online and remit the taxes owed on those purchases You can pay your state use taxes when you file your annual income tax forms (see form below). A new report estimates that Alabama is losing out on nearly $350 MILLION in Use Tax from consumers and businesses for the 2012 tax year. That’s equivalent to adding $87 million to the Education Trust Fund (ETF) to be made available to our schools (25% of use taxes go to the ETF). According to the report, only 1.3% of tax filers actually reported any amount of Use Tax on 2009 income tax returns. See, the choice really is yours. You have the power to follow the rules, self report, and pay the taxes you owe. Are you willing to do that? 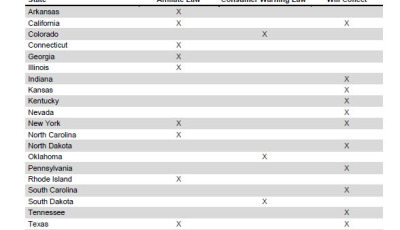 Alabamians self-reported and paid $700,000 in 2011 as taxes owed on internet purchases. That’s pretty impressive, but is dwarfed by the estimate that $200 million was actually owed. There was no breakdown of state versus county versus city taxes in terms of what Alabamians self-reported. Dr. Robert Robicheaux, chair of the Department of Marketing, Industrial Distribution and Economics in the UAB School of Business, authored a study published in February 2012 with all of the gory details about just how much is lost due to online sales where no taxes are collected or remitted. He estimated the loss of revenue to our state to be more than $200 million for 2011 alone. The cumulative amount through 2016 is estimated to be $1 billion. The effects of the lost revenue don’t just affect the money that should be distributed to those departments and agencies that receive sales tax proceeds. The lack of funds also is estimated to cost Alabama 3,500 to 4,000 jobs yearly. “In 2011, Alabama consumers spent more than $2 billion on retail Internet purchases. Those purchases represent more than $2 billion of sales revenue lost by Alabama-based retailers. Sales of clothing, footwear, toys, electronics, cosmetics, jewelry, sporting goods, artwork, ofﬁce equipment, supplies, pet foods and many other types of products were made by remote sellers into Alabama and those sales revenues and the related proﬁt on those were lost by Alabama retailers. That is not all that was lost, however. expenditures to be lower. Retail owners and their employees’ incomes are lower and their spending of that income to purchase other goods and services as well as their charitable contributions are lowered. Why Do We Have to Self-Report? Why Can’t the Government Collect It Directly? While it would be great if the government collected these taxes owed directly from online retailers, it hasn’t been that simple. Due to interpretation of interstate commerce clauses, states have had a tough time collecting directly from sellers. The online giant Amazon has agreed to collect and remit sales taxes from online purchases in 14 states, including Tennessee (2014) and South Carolina (2016). Until, or if, legislation is passed requiring online retailers to pay sales tax, you should keep track of your purchases and self-report and pay what you owe. Again, when you don’t, you are withholding money that is rightfully owed to our school community and the agencies that serve the people of our state. The choice is yours. 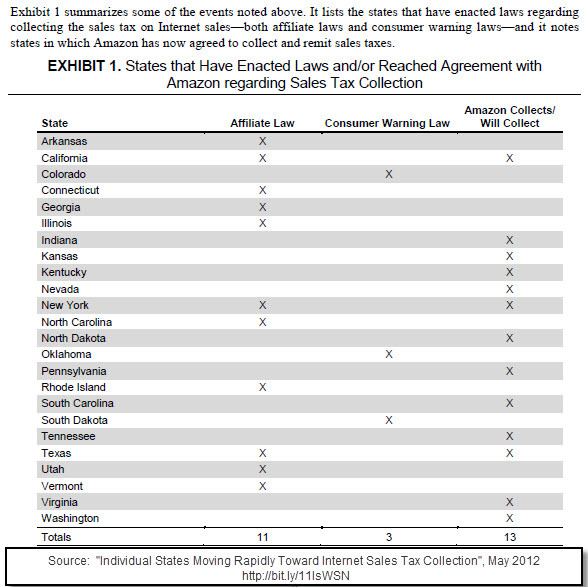 If you’re interested, here’s a look at all 50 states’ rules on taxing internet sales. See this post from this past holiday season to learn more about Why Shopping Locally Matters to Our Community.